What are Some Qualities of Canada’s Point Based Immigration System That Makes the World Interested? Canada has introduced some positive reforms in its immigration system in the year 2015. As part of these reforms the Immigration Refugee and Citizenship Canada (IRCC), introduced the Point based immigration System in January 2015, which is now known as Express Entry System. 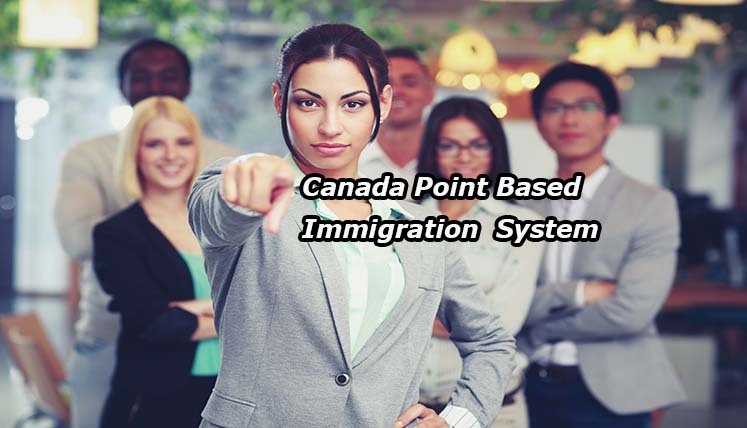 Since then, the Immigration point system of Canada has become widely popular all across the world. In fact, the countries like USA and UK have shown in interest in adopting the similar immigration system to allow immigrants in their respective countries. Let’s take a look at a few of its key features and qualities that attract other countries too. Canada’s immigration system has been noticed and praised by the governments of the several advanced countries. The immigrants as it is liked the new and most organized immigration System of the world. Let’s take a look as to what makes the system so positive and admiring. In Canada’s point-based Express Entry Immigration System, candidates are selected for the relevant visa, based on the point they score for their age, work experience, language skills, qualification, etc. factors. It rules out any chance of discrimination or prejudice as candidates are being selected based on their skills and talent and not because of their race, religion, nationality or other such identities. The new express entry immigration system has made the visa application processing faster than earlier. Express Entry claims to process the visa application within 6 months if everything goes fine with the application of an applicant. Apart from this, it also provides access to Canadian provinces, to choose the suitably skilled workers through their respective Express Entry Streams. The Immigration Refugee and Citizenship Canada (IRCC) has designed the express entry system in such a way that it caters to the need and requirement of the labour market in Canada. The program also selects the immigrants having skill defined in the NOC (National Occupational Classification) of Canada. The popular express entry system is based on the phenomenon of the win-win situation for all. The applicants get the benefit out of the new EE system as they get faster visa processing and organised process, on the other end, Canada is to great advantage as the immigrants they are accepting through EE system, possess the skills, experience, and qualification that suite Canadian labour market the best. If you also aspire to apply for Canadian Visa through the incredible Express Entry System of Canada, you may get in touch with the best Visa and Immigration Consultant for complete immigration process assistance.